By car: A11 motorway from Florence to Pisa Nord - exit Lucca Est. By airplane: Pisa International Airport, then to Lucca by train, bus, or taxi. By train: From Rome or Milan by Frecciarossa fast train to Florence, then by local train from Florence to Lucca. 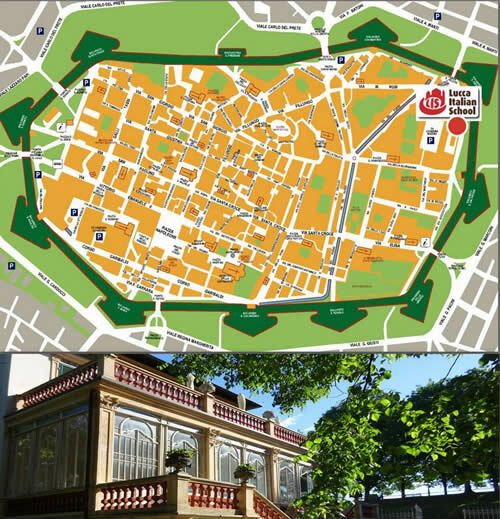 Map and picture showing the school location in a modern style villa in Lucca's old center.